Ice people and free parking in front (public one, and free if you are 2 or more persons). 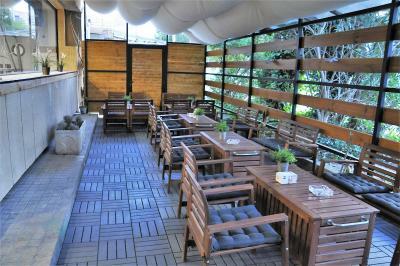 Staff very friendly, room size good and everything clean and comfortable. I like the fact that the hotel is out of the old centre over the river in a quiet area, but just 10mins from main central sights. In general was fine. The room was good. I love it. Clean and everything was great. There is a big outdoor parking in front , it’s free in night . 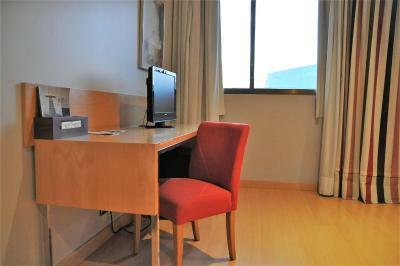 the public parking was ideal and free in you stay in 1 of the hotels nearby. 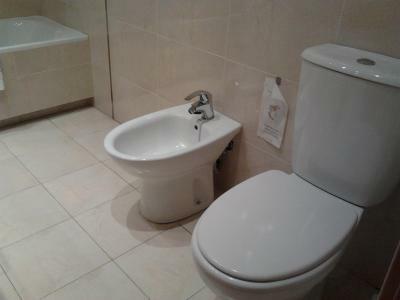 only a 10 mins walk to the town centre. Comfortable modern hotel. Helpful and friendly staff. Good attached cafe where a decent breakfast can be had. 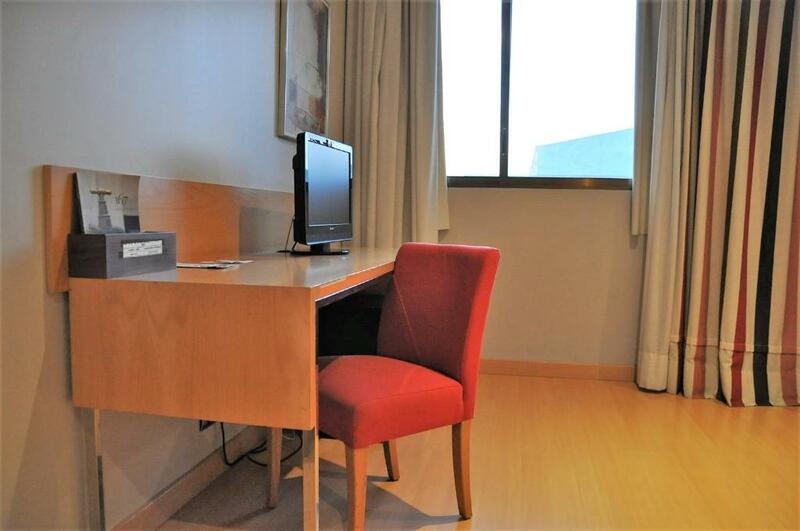 Hotel Feria This rating is a reflection of how the property compares to the industry standard when it comes to price, facilities and services available. It's based on a self-evaluation by the property. Use this rating to help choose your stay! 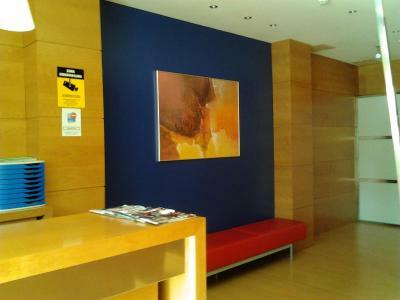 This stylish, modern hotel is located next to the Castilla y León Exhibition Center, 1,650 feet from Plaza Mayor Square. 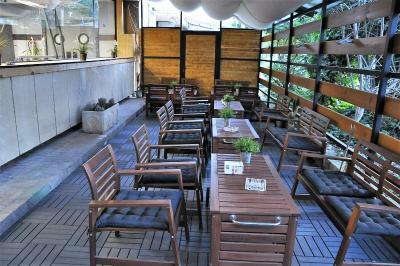 It offers air-conditioned rooms with free Wi-Fi and a mini-bar with free mineral water. 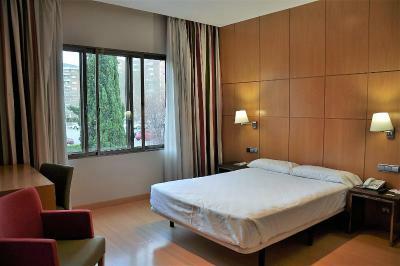 Hotel Feria’s comfortable rooms feature functional décor and wooden floors. 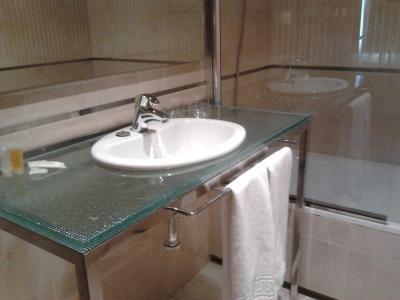 All include a TV, safe and a private bathroom. A continental breakfast is served at the on-site bar. 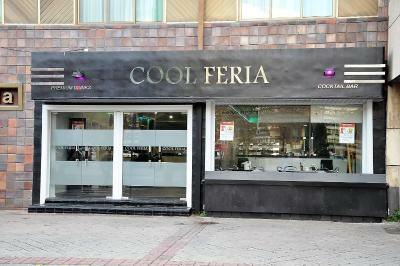 Feria’s El Horno Restaurant offers traditional Castilian cuisine for lunch from Monday to Saturday, cooked in a wood oven. 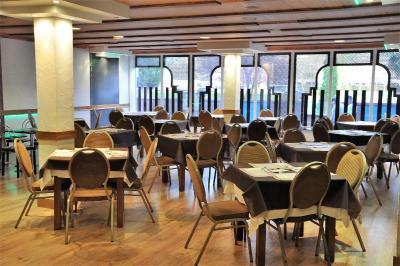 There is also a bar area and packed lunches can be provided for days out. 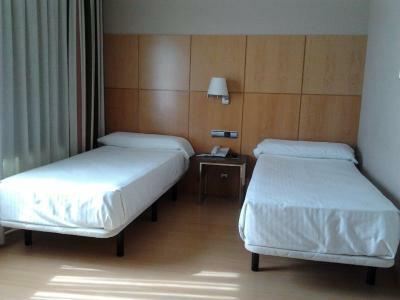 The hotel is 15 minutes’ walk from the historic center and Valladolid Cathedral. 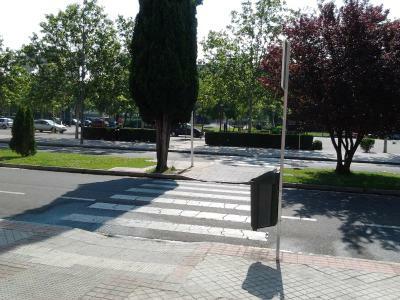 FC Real Valladolid´s José Zorrilla Stadium is 1.9 mi away and The Galera Golf Club is 2.5 mi away. 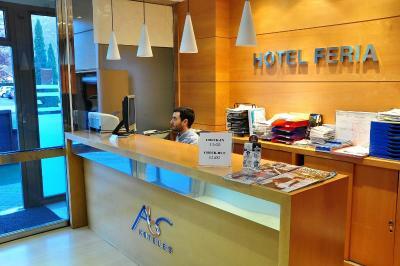 Hotel Feria can organize car rental and is 15 minutes’ drive from Valladolid Airport. 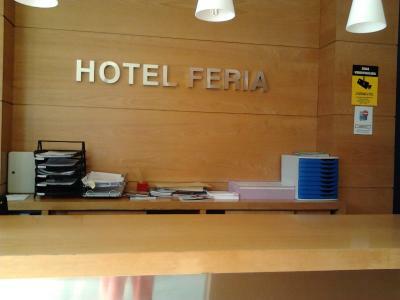 When would you like to stay at Hotel Feria? 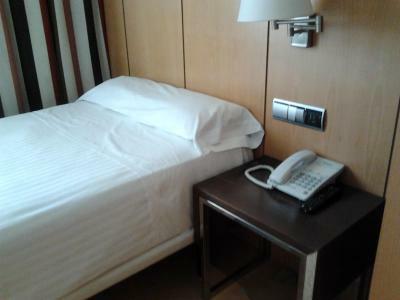 This comfortable, air-conditioned room features free Wi-Fi, a mini-bar with free mineral water and smart, functional décor. It includes a TV, safe and a private bathroom. This comfortable, air-conditioned room features free Wi-Fi, a mini-bar with free mineral water and smart,functional décor. It includes a TV, safe and a private bathroom. 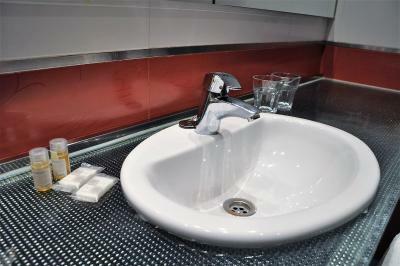 House Rules Hotel Feria takes special requests – add in the next step! Hotel Feria accepts these cards and reserves the right to temporarily hold an amount prior to arrival. Please note that the restaurant and the bar are closed on Sundays. No breakfast facilities and horrible columns in the middle of the corridor (not easy if you go with large luggage or pram). THE BED WAS NOT VERY COMFORTABLE. ROOM IS SMALL AND THE VIEWS ARE NOT VERY NICE. LOCATION AND FREE PARKING. GOOD SERVICE. 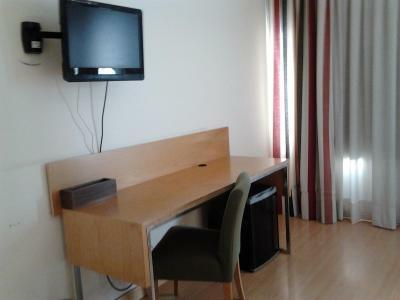 Good location for short stay. Computer problem,half hour delay in getting into room . Not a good experience after a 16 hour drive from northern France. Location ,good car parking . There were cockroachs and the bed has actual dust on it when i lifted the sheets. The sheets were stained too. Extremely high charges for parking motorcycle. The bed was broken and not stable .